When it comes to heating your home, you have several options and factors to consider before you rush out to make the purchase. First and foremost: water tanks, water heaters, furnaces and boilers should be installed or serviced so as to comply with applicable local, provincial or national codes. Not only will your local Action Auger plumber see to it that your home heating system is up to code, but he will also help with the decision process (tankless water heater or storage tank water heater?) and the installation or the repair. 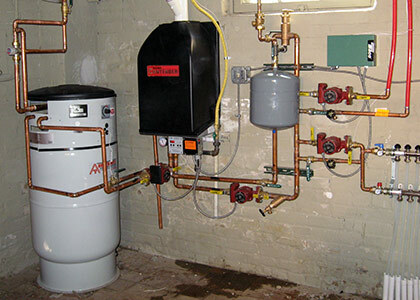 Hot water heaters use a heating source to raise the temperature of incoming cold water from a municipal main or well. The heated water is stored in a tank and distributed on demand to your home’s showers, bathtubs, sinks and any other home appliance that requires running hot water. An integrated space/water heating system is unique in that it functions as a space heater and a hot water heating system. It works as a hot water heater that contains a small hot water storage reservoir to reduce burner cycling during low-use periods; and the space heating system works as a basic space heater, but it can also be configured so that the space heating system and water heating subsystem are combined to share common lines but work separately. The pros and cons of conventional water tanks vs. tankless water heaters are about equal. The decision to choose one over the other, however, largely depends on how much importance you place on energy efficiency. Conventional water tanks can heat cold water by the use of electricity, gas, oil and kerosene. Tankless water heaters work with electricity or gas. If you live alone and don’t use a lot of hot water in your home, it may be more efficient to go with a tankless heater. If you’ve got a rather large family, a new conventional water tank is less expensive to purchase and maintain, but your energy bill will be larger. For professional advice you can trust your local Action Auger plumber to help choose what’s best for you. Make that call today. 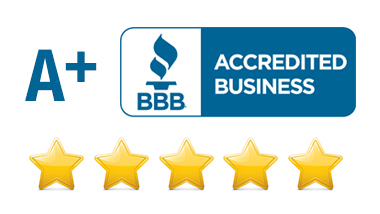 Action Auger has an A+ rating with the BBB.